The coat of arms above this gateway was a simplified form of the heraldry used by the Kingdoms of Castille and Leon. 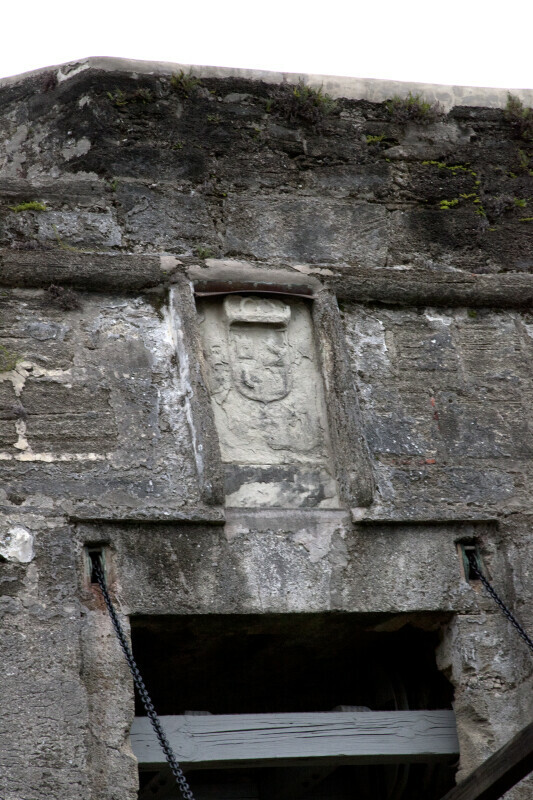 The coat of arms is quite weathered, and much of the artistic detail has been lost. The fort is a National Monument, and is listed on the National Register of Historic Places.